They are hard. While they’re used as a standard measure of upper body muscular endurance, many people can’t perform a single rep. In a 2001 study of high school students, nearly 50% of boys and 75% of girls couldn’t pass a push-up test (1) – this is a staggering number! In general, men outperform women for basic genetic reasons (such as muscle mass), but consistent, targeted training can result in push-up prowess for just about anyone. It’s important to understand why the push-up, one of the simplest and well-known basic exercises, is also one of the most important: the performance of body weight movements in relation to body weight is a key indicator of health. The pushup also develops central strength, stability, and of course a powerful-looking physique. The pushup’s compound exercises work multiple muscle groups: they improve shoulder health and stability, as well as strengthen core/lower back muscles. 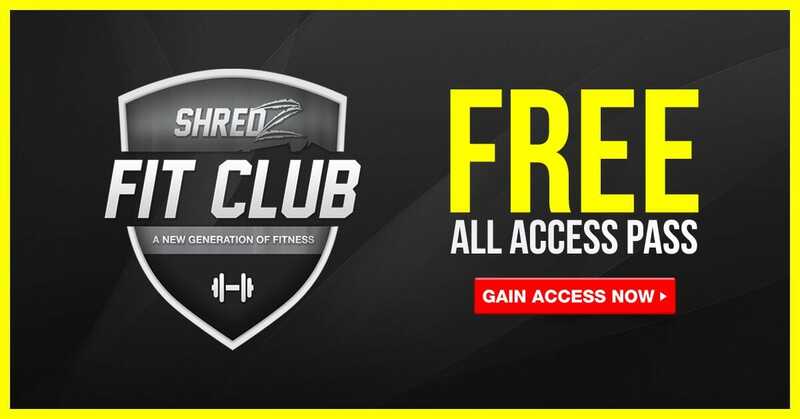 They activate the chest, shoulders, triceps, AND core – all within the same movement. This is a regressed (lower-level) movement for those who struggle to complete a normal push-up, but don’t give up; we all have to start somewhere, and with persistence you will get better and better! In a push-up, the tricep contributes the most amount of arm force, so developing your triceps with this exercise will aid you in the gradual fight against gravity. The wall push-up is more tricep-oriented than the others, but also works the serratus anterior and core muscles. 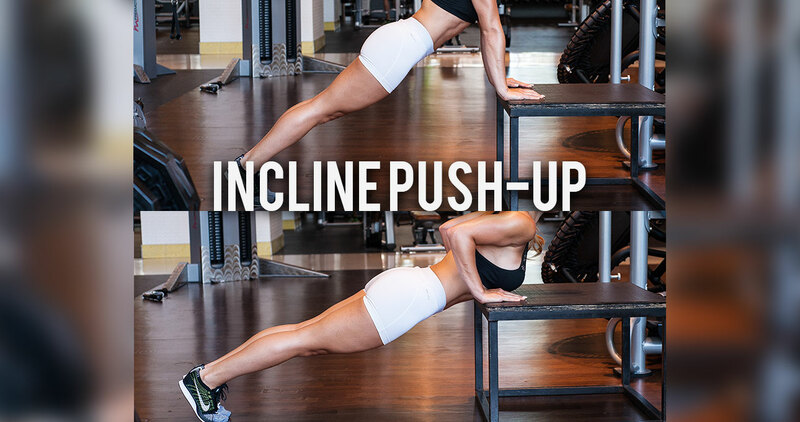 For better activation of the chest, try incline push-ups! To accomplish the movement perfectly, keep the hands midway through the ribcage so the elbows come down to a 20º angle from the side of the body. While pushing the body up, push perpendicular (exactly away from) to the angle of the platform on which the hands are positioned. Keep the neck neutral (straight), aligned with the rest of the spine and looking ahead. This type of push-up also activates the deltoids and serratus anterior. Diamonds are definitely more difficult than a standard push-up, but a fun challenge! For optimal form, place the hands midway through chest, adjacent to the sternum. Make sure your elbows don’t go above shoulder height, even though they’re going out wide. At the top of the movement, extend the shoulder as much as possible vertically from your torso (this is called protraction). Put yourself through the gauntlet! The decline push-up works the triceps, shoulders, and pectoralis minor, but also helps to improve the upper chest and serratus anterior. For the best movement, place the hands three-quaters of the way down the ribcage, beneath the chest. Keep the elbows guided 30 degrees away from the side of the body horizontally. Push up and toward your feet, not at a direct upward angle from the ground. Gravity will be pulling you down and forward, but squeeze those core muscles and try to maintain as controlled a movement as possible! For ultimate push-up success, flexibility, and range of motion, first make sure you’re wearing comfortable workout clothing. On the same day as push-ups, you should be doing planks, body saws, and other shoulder mobility movements such as wall slides. 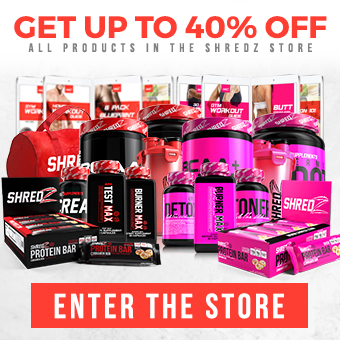 To help improve your power and ability to do a push-up, we recommend creatine, the most-researched workout supplement, which may help you deliver more power to your muscles. 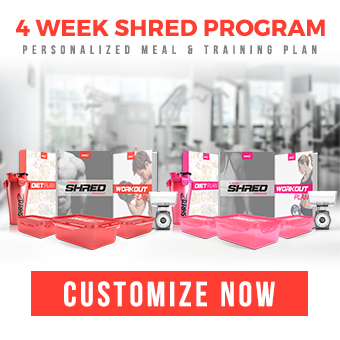 If you’re looking to integrate push-ups into a larger fitness routine, we also offer the 4-Week Shred, a month-long custom coaching and diet plan that will give you the results you’ve been looking for, and Shredz Fit Club, a FREE collection of workout videos and additional resources. If you find yourself sore after all of this, a branched-chain amino acid (BCAA) supplement can help you with optimal recovery. Now let’s get pushing!